He's got a super swell cleft in his chin. He's especially good at expectorating. He's a super success, don't you know - can't you guess? 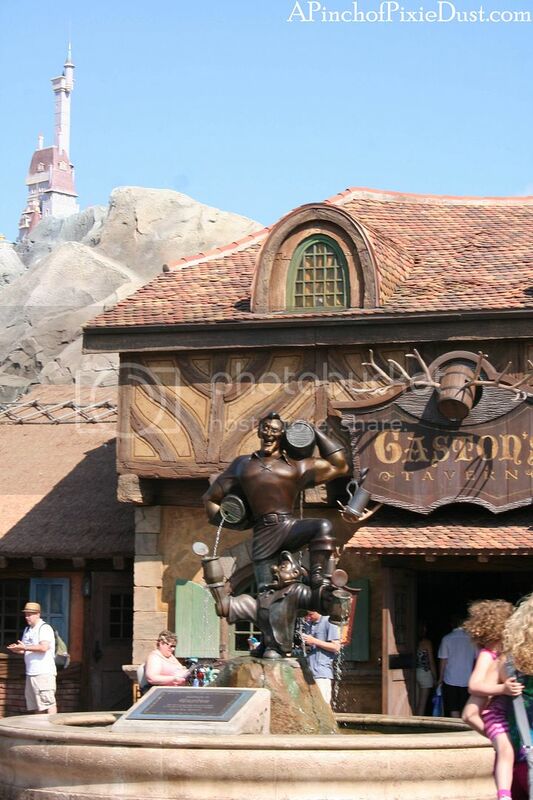 Today's post is all about the one and only GASTON and his corner of New Fantasyland! I love the Beast's Castle and Be Our Guest restaurant, but I was rather disappointed by Belle's Village to begin with. As a bookish girl myself, I still wish they'd given us a bookshop. 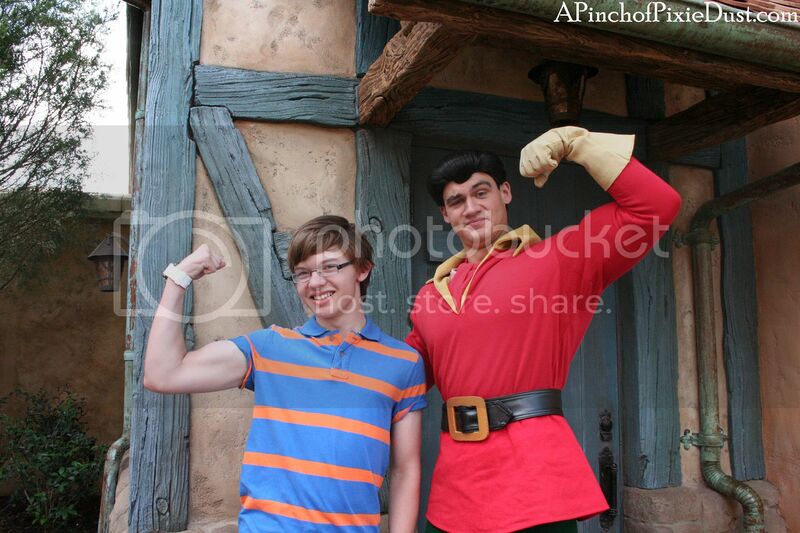 But now I tend to think of it as Gaston's Village, and that somehow makes it better. After all, the tasty things at Gaston's Tavern and the meet and greet with Gaston himself are the two coolest things here. 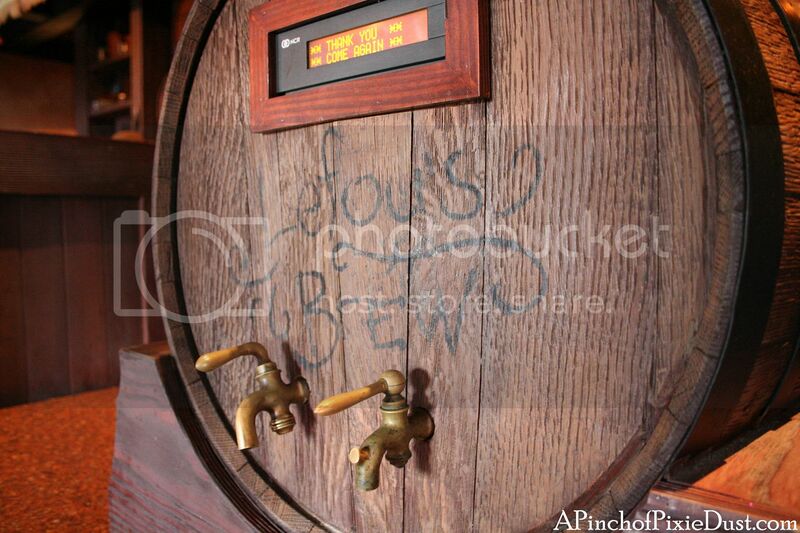 Ohhhhh that Le Fou's Brew - so yummy! 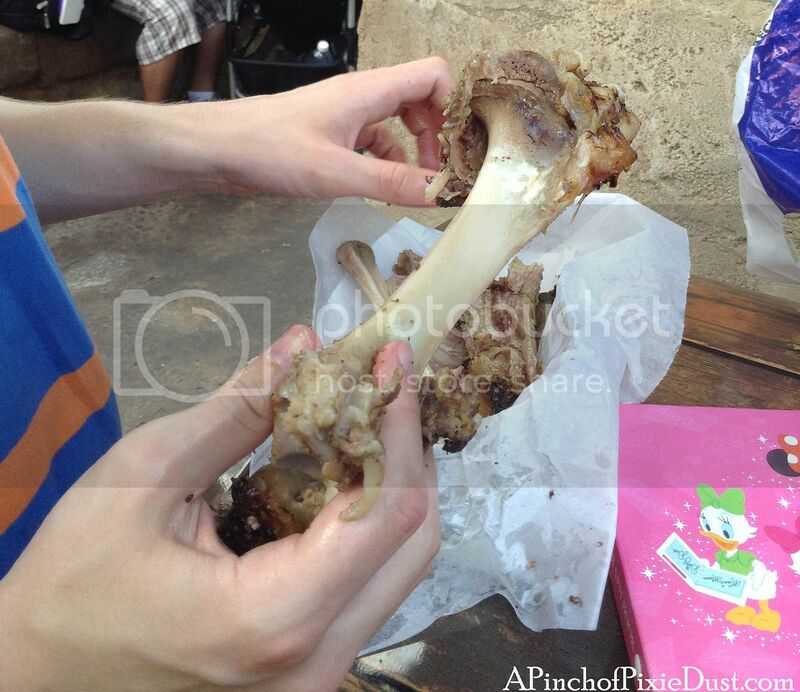 More tastiness from inside Gaston's. These do look nice, but I'm sorry. A case of chocolate croissants does not a patisserie make. Blog reader Laura M reported on a lovely Belle cupcake they had here during the Disney Side 24 hour event - I wish they had it all the time! 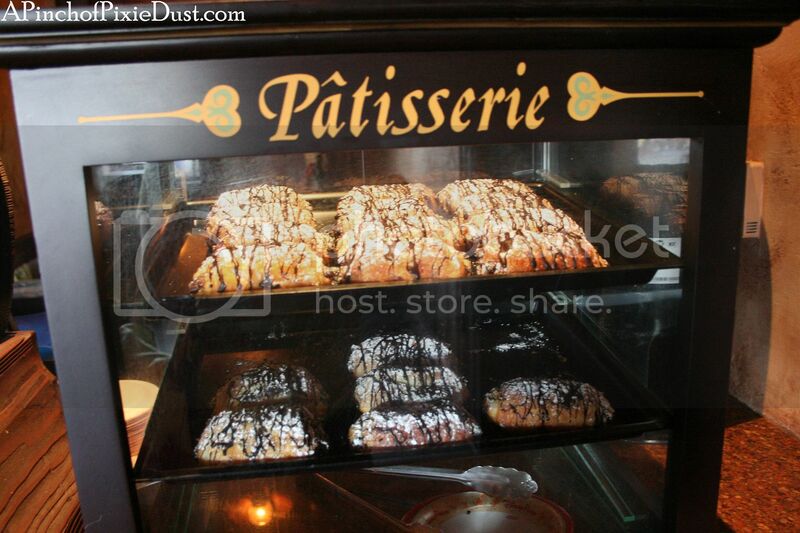 Then again, pastries just don't seem much Gaston's style. 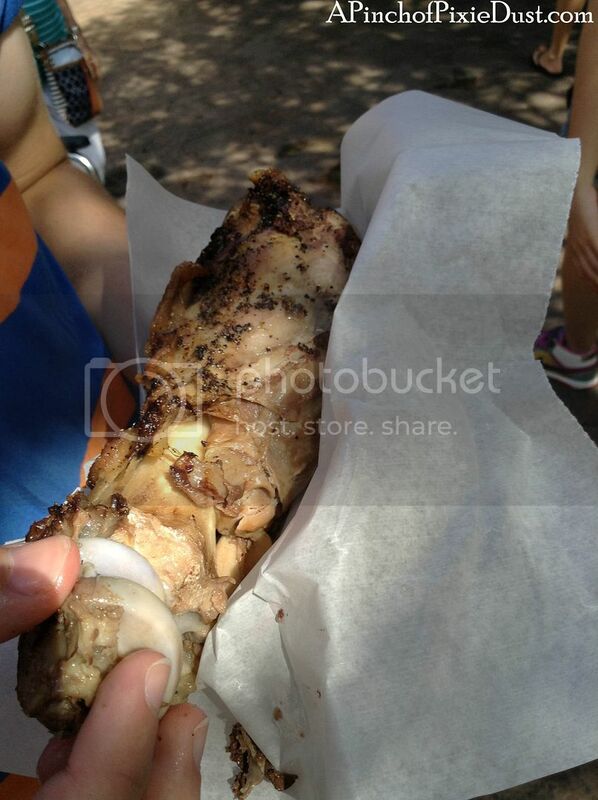 Hunks of meat, on the other hand, just scream G-A-S-T-O-N. My, what a pork shank! My brother Athos is crazy about this thing. He practically inhales them. It's one of his top must-have snacks...or rather meals! 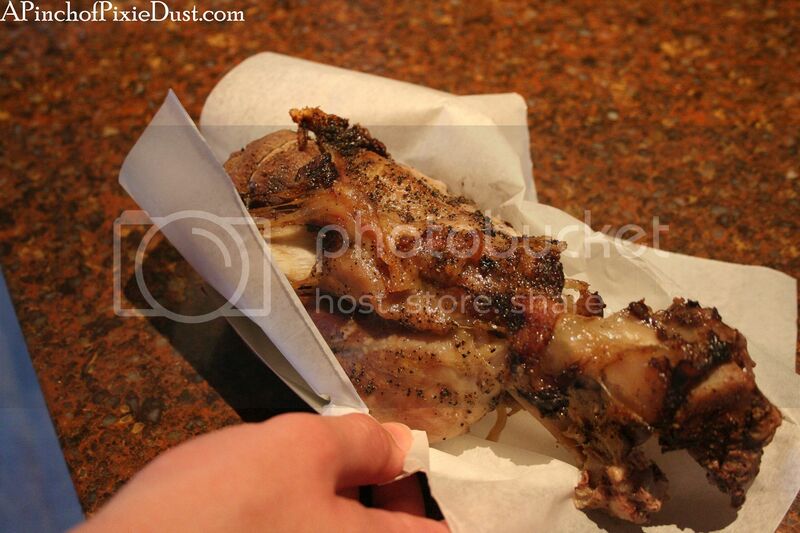 The pic on the right just makes me laugh - everyone is stopping to admire the meat. Including the mini twin Athos clones. They were just ahead of us in line to meet the man himself. I had managed to convince Athos to say hello - after all, we had never met Gaston before, and he was right across from his tavern! Watching the families ahead of you with Gaston makes the wait fun - and usually Gaston doesn't have too long of a wait anyway. 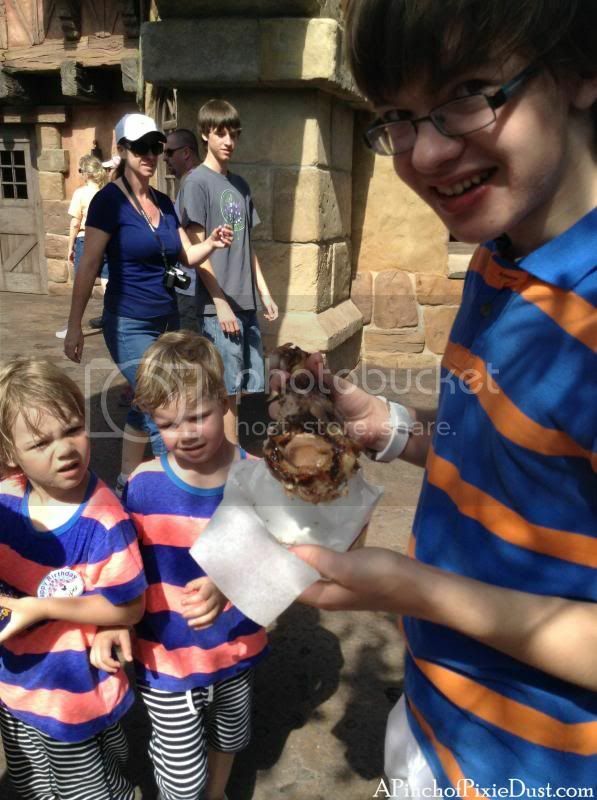 Gaston advised the little boys to eat plenty of eggs and to keep away from beasts. As they were walking away he goes, "I know, the pleasure's all yours!" My autograph book didn't have Gaston's signature yet, so according to him it was just blank pages. "Well, pages with princess autographs," I said. "Exactly..." Gaston replied. "Blank pages." 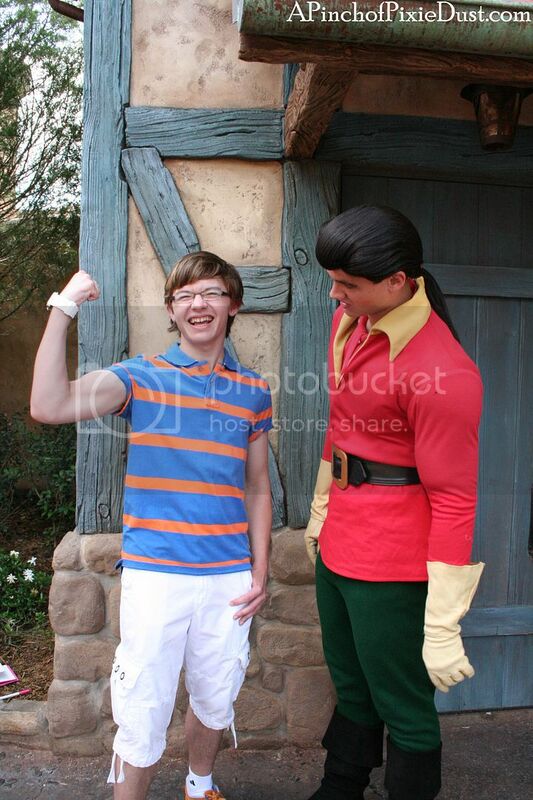 Athos is very proud of his muscles, so I told Gaston he thought his biceps were better. 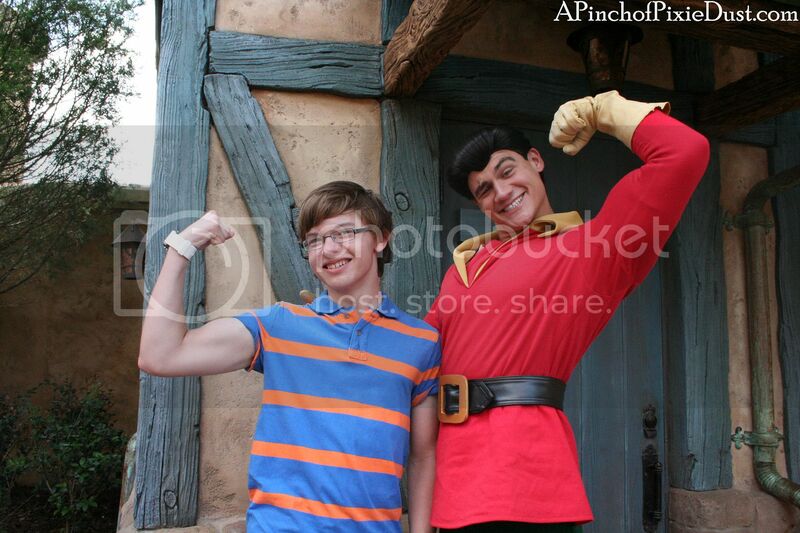 Gaston, without missing a beat, replies, "It is a land of fantasy!" He looks exactly like his statue! He's even got the eyebrow! So many muscles! And another hilarious face. 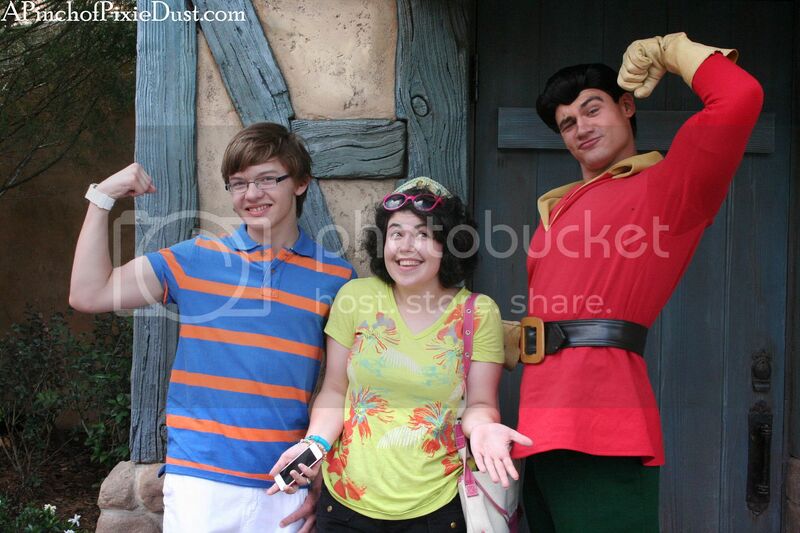 My mom has this crazy idea our Gaston could be friends with Aladdin these days. I'm not so sure, but he was definitely an amazing meet and greet. It's funny how the villains can be even more fun than the good guys and mice and princesses! 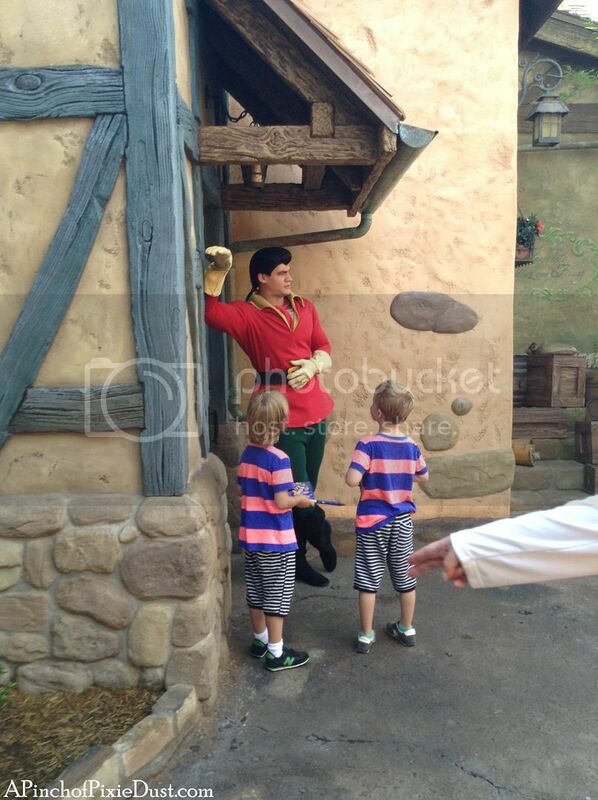 Have you paid Gaston a visit in New Fantasyland yet?? HAHAHAHAH. 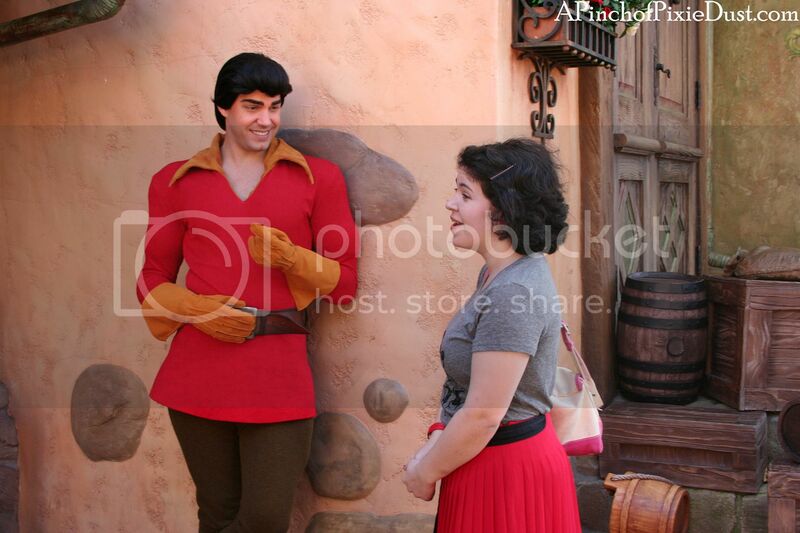 You are Gaston's ultimate fan girl ;) Loved our meet and greet in December!